Shiv vishram grah lodge was built in 19th century, by Shiv Dayal Giri Ji Maharaj. In the ancient Shiv Ashram was a MATH, where all saints & mahantas lived & worships. After Shiv Dayal Giri JI this lodge look after by the Mahant Som Giri JI. After Som Giri Ji this lodge is running successfully by Mahant Anil Giri. Shiv Vishram Grah Lodge features a wonderful mix of the ancient and the contemporary. Founded by M Shiv Dayal Giri in the late 18th century, the lodge is run and maintained by his grandson M Anil Giri. The lodge occupies a position close to the banks of the divine Ganges. It is due to the efficient leadership and the well-disposed staff that Shiv Vishram Grah is has become a much preferred option of stay for visitors to Haridwar. 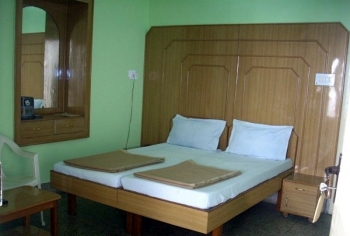 It offers budget accommodations to pilgrims with basic facilites in Haridwar. The main attraction of Shiv Vishram Grah Lodge is that it is fully spiritual, very peaceful and homely atmosphere. 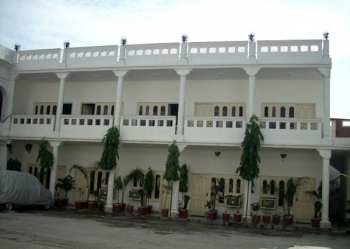 Shiv Vishram Grah Lodge (SVGL) is located very close to the Har ki Pauri in Haridwar. This budget hotel is located 1.5 kms from City center, 300 mtrs from Har ki Pauri. and 1.5 kms from Railway Station and Bus stand. A unique accommodation experience awaits guests at Shiv Vishram Grah with basic amenities and facilites, to offer comfortable stay in Haridwar. All the rooms at the lodge come along with proper equipments and are both airy and spacious. The Communication Centre of the lodge is equipped with high speed Internet connection as well as ISD and STD telephone facility.